“Time is not on our side,” said Lorelei Weimer, executive director of Indiana Dunes Tourism, one of several partners that banded together with the National Parks Conservation Association to fight for the funding. Waiting for the next budget cycle, said Colin Deverell, Midwest program manager for the conservation association, would push back the short-term solution of bringing dredged sand to the shore of the facility, part of the Indiana Dunes National Park, as well as any long-term solutions for a number of years, especially since the study takes more than two years to complete. The riverwalk has been losing beach to the Lake Michigan shoreline for several years, resulting in the collapse of a viewing platform and the loss of a handicap accessible ramp to the beach. 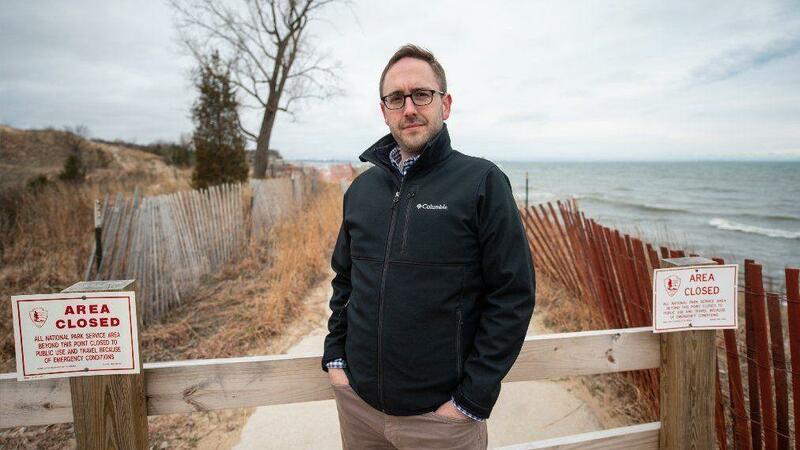 Last year alone, the park lost 12 feet of beach because of one big storm, Deverell said, and he and others have said the pavilion at the park, protected by a rapidly shrinking dune, could be its next casualty. “It may be just one more powerful storm before that dune is breached,” he said.